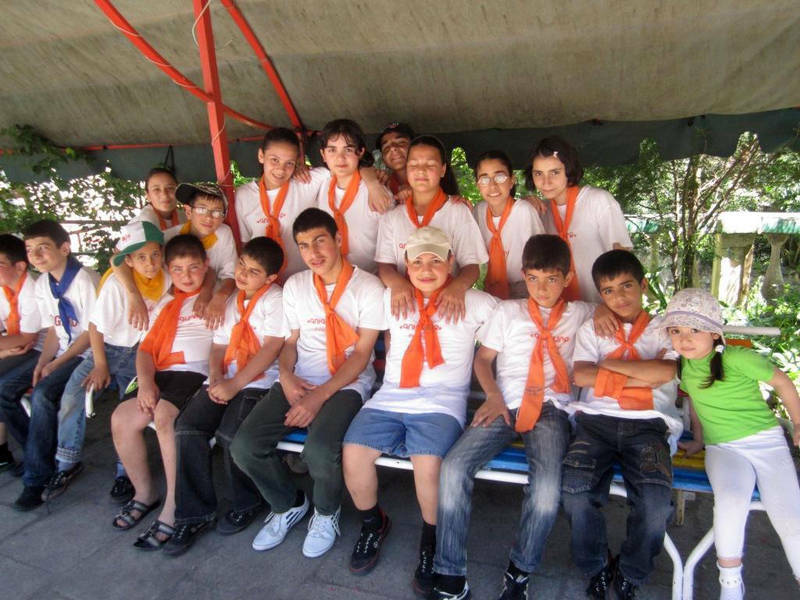 It has been three years that HDP foundation organizes summer camp for children with/without special needs. 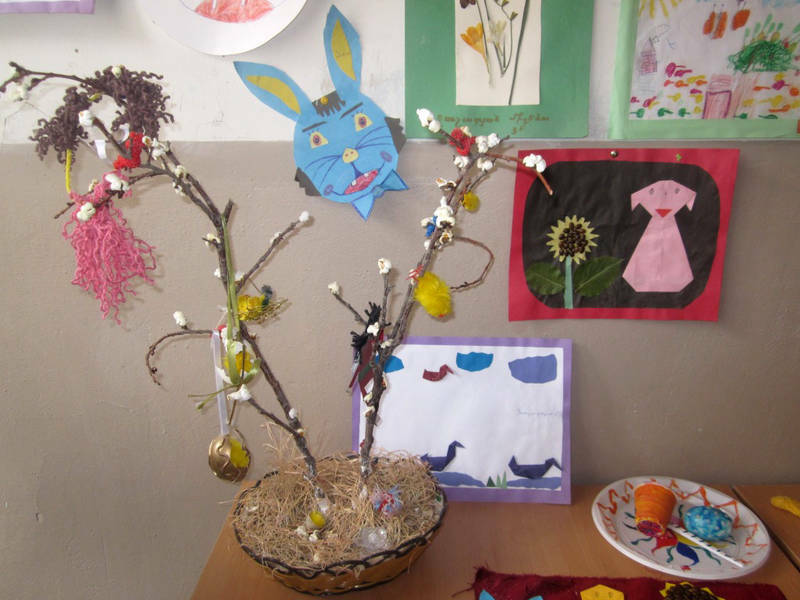 This activity is implemented under the framework of the project “Art for Inclusion for children with special needs”, financially supported by Jonas Foundation. 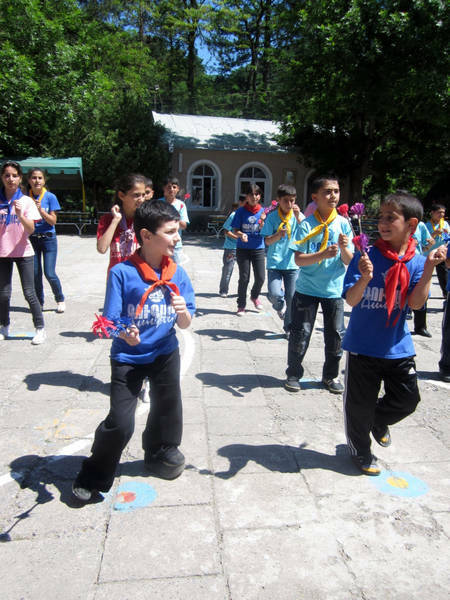 This year also the summer camp took place on 17-25 June, in “Gugark” child summer camp in Vahagnadzor Village, which is one of picturesque places in Lori Region. 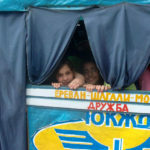 The children entered the camp with great enthusiasm. Though it was the first time for most of them, they could become best friends during the first day with other campers and they involved in daily life of the camp. 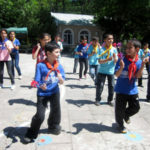 The daily life of the camp was full and very interesting from morning to evening: morning exercise, dancing, singing, different plays, swimming pool, watching of films and campaigns. 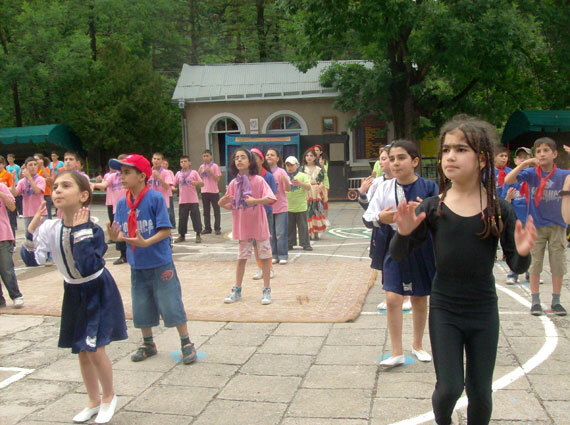 The camp enabled children to have new friends; they learned new songs and dances and performed their artistic talents during camp events. The camp is a place where 150 children of 7-14 age groups with different characters and with different preferences and attitudes spend 8 days together. But this difference wasn’t obstacle for children with special needs. 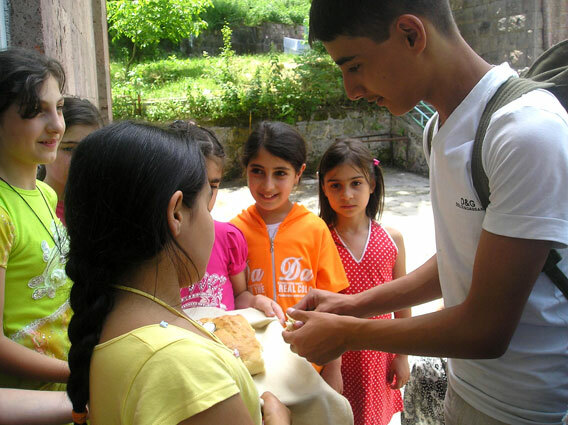 This year HDP supported to Rafayel Hakobyan to participate in Summer camp as well. This 9 year old guy had operated his leg three times and still there was a problem with his leg. Last year HDP foundation had small finance donation under another project for Rafayel’s operation. Rafayel’s eyes were full of tears with happiness, when he informed that he will join to campers this year. At the opening day of summer camp Project manager Anahit Aghabekyan shortly introduced to the campers the project “Art for Inclusion for children with special needs”. She especially stressed that camp can break all barriers for children with special needs and promote their inclusion into society. After her speech the campers also expressed their opinions on inclusion of children with special needs. They told that in spite of some problems which have several children, they are equal and they should express love to those children. The campers were very excited when they saw “I am a hero”, “If you have wings” and “Only love” films prepared by HDP Foundation. Some of them couldn’t keep their tears. After watching the films they discussed the heroes of the films. They all agreed with expression “Only love”, which is simple but very important for each child. The next impressive and unforgettable day for the campers was their visit to the house-museum of famous Armenian writer Hovhannes Tumanyan. He is favorite writer for all children in Armenia. The last day of summer camp was very well organized. The all campers were excited and happy. 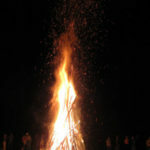 In the evening they could admire with big fire which was set in the middle of the camp square. “Hi. My name is Ofelya. This is my second time that I spend my summer holiday in “Gugark” camp. I am very happy to see my old friends here again. I like “Gugark” camp very much, as it is situated in a very picturesque place andcamp environment is very friendly. Camp allows me too feel free and express my skills and abilities during different camp events. We also learned life lessons from head of camp Miss Danielyan. I love you my dear camp, and hope to see you again next year”. “I liked “Gugark” summer camp very much. There was a swimming pool, and we could also play many different plays. Children are very kind and careful to each other; they also help together every time. Here I learnt that we should be friendly to each other, especially with children with special needs, as they need more love and care. I loved everybody who was with us during summer camp”. 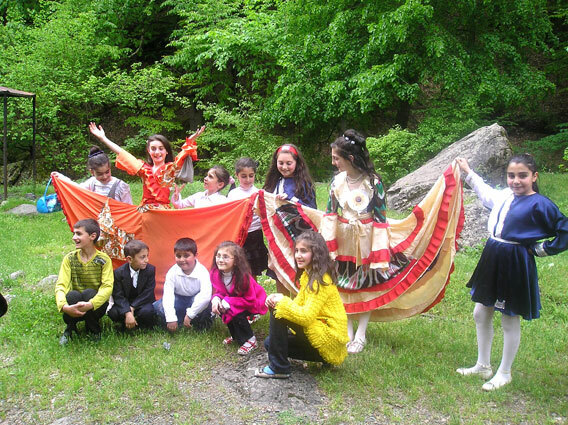 Within the project “Art for Integration”, HDP organized Puppet theatre performaces in Inclusive schools (Yerevan) and in partnership organizations (Bridge of Hope, province Tavush). 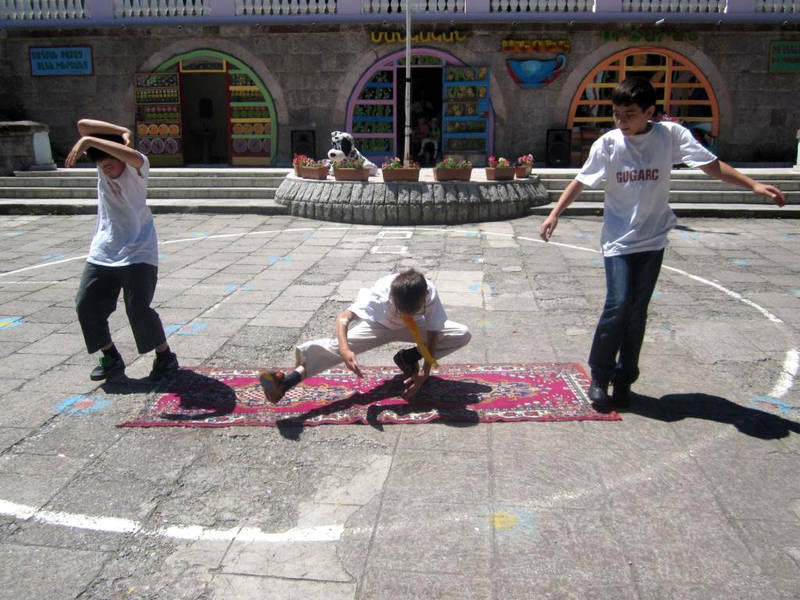 The players of the performances were children with and without disability (8-16 age groups). 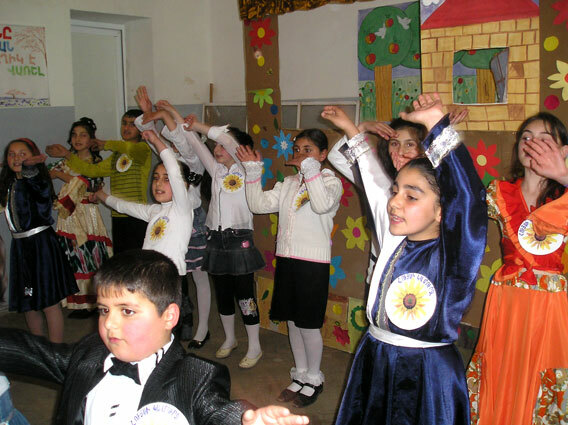 They demonstrated their talents and and spread a message of equality, participation and integration through performed plays and and puppet theatre performances. Deaf and dumb children also performed small novels through gesticulates. This kind of art events help the disabled children to get rid of complexes, this is also an excellent mean for all children to interact. In collaboration with Human Dignity and Peace Foundation and Prkutyun NGO. The film “Only love” focuses on what these children can do, what skills and abilities they possess that often many of us do not notice or use. It also sends a critical message – love that these children need. 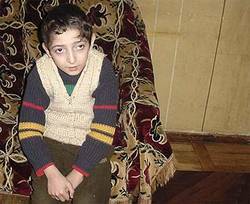 The heroes of the film are three children with special needs, (Narek 10 years old, Levon 11 years old and Ashot 7 years old). Narek has physical problems, Levon has speech problem and Ashot has mental and physical problems. The film shows the great love parents have for their disabled children and how important it is for them to live on despite their daily challenges. This film aims to promote tolerance for children with special needs in society. The film was aired on “Shoghakat” local TV in Yerevan in February. HDP organized “Only Love” film presentation in “Nur” NGO (Armavir region). The “Only Love” and “I am a hero” films were aired on “Alt” TV (Armavir region) and “Qyavar” TV (Gegharkunik region) on March. “Shoghakat” TV is airing in Europe as well. The “Only love” film made good impression on audience. HDP had received many responses about film from different countries and people who watched it. HDP received a call from a student called Mareta. She shared her impression about “Only love” film, then she said that she has an American walker and she can present it to Narek. In the film Narek’s mother told that Narek’s walker is broken and he can not use it even if they had repaired it before. The team of HDP was happy to hear this and they helped Mareta to present the walker to Narek. HDP was very surprised when received a call from Netherlands. A man called Arthur had also watched the “Only Love” film and liked it very much. He also said that he is going to come to Armenia in June and he will present a walker to Narek too. The film «Only love» was presented in Brazil at the «Assim vivemus» festival by director of the film Vardan Abelyan and had success. «Only love» was selected as the best one among 25 and Lara Pozzobon recommended the film to the international Short Film Festival «Wie wir leben/The way we live» in Munich (Germany), Europe’s longest running disability film festival. There are three awards, presented by an international jury, as well as an audience award. The festival in Brazil was presenting films about people with disabilities, chronic or mental illnesses, their lives and experiances. 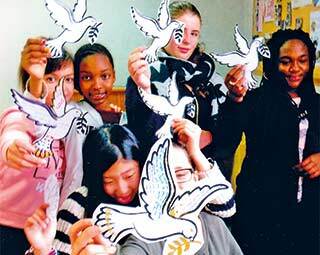 From January 2011 HDP started implementation of project ”Art for inclusion”. This is the forth phase of this project which HDP carries out in Armenia with financial support of Jonas Foundation. Within project activities during 7 months HDP Foundation will organize summer camp and art events in participation with choir members. 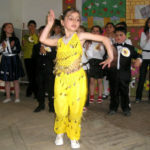 On 8th of April, 2011 was held event in 135 school in Yerevan devoted to “Mothers and Beauty’s” day. Event was organized with the support of HDP foundation in the framework of “Art for inclusion” project, which is financed by Jonas Foundation. 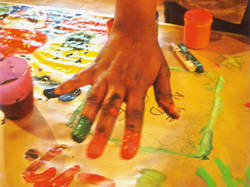 The aim of the event was to support children with special needs to self-esteem and include in society through art. During event the 20 choir members had a beautiful performance. This choir created in the framework of “Art for inclusion” project, where included about 20 disabled and not disabled children. Beside choir performance, children prepared little performance, where the children performed their talents by Puppet Theatre. The main message of the performance was the ”inclusion” of children with special needs. 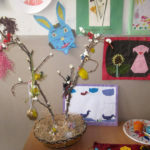 At the beginning of event was held an exhibition in foyer of the school, where the guests could see the handmade by children with special needs. The directory of 135 school, staff and pupils, as well as representatives from HDP foundation was present in this event. The performance lends an opportunity to talented children to express their skills and abilities through art, and to ensure society that they need an inclusion to feel full members of society. 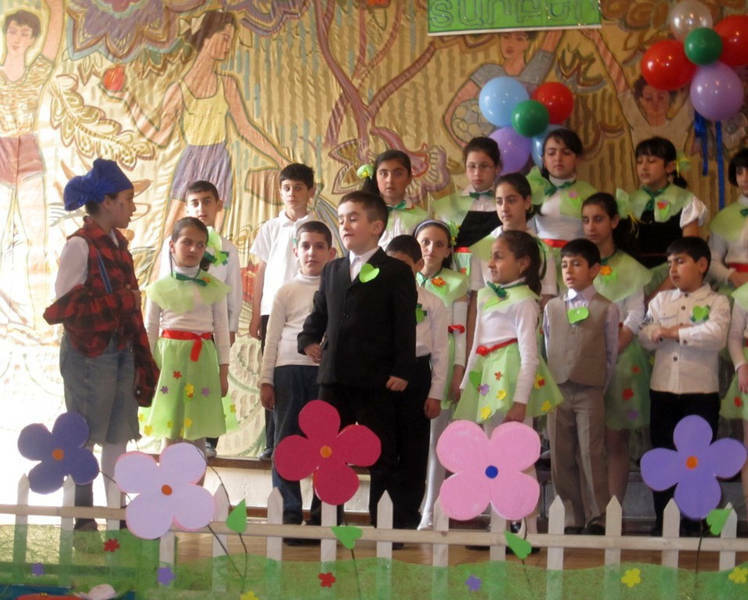 At the end of performance all children expressed their main wish “People give us an opportunity and We Can”. 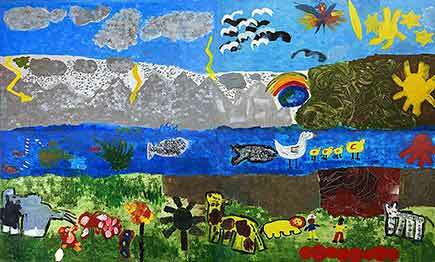 HDP is currently implementing the third project “Art for Integration for Children with Disabilities” funded by Jonas Foundation. The project goal is to promote integration of youth with special needs through a variety of art activities that would enable them to develop and use their talents as full members of the society. 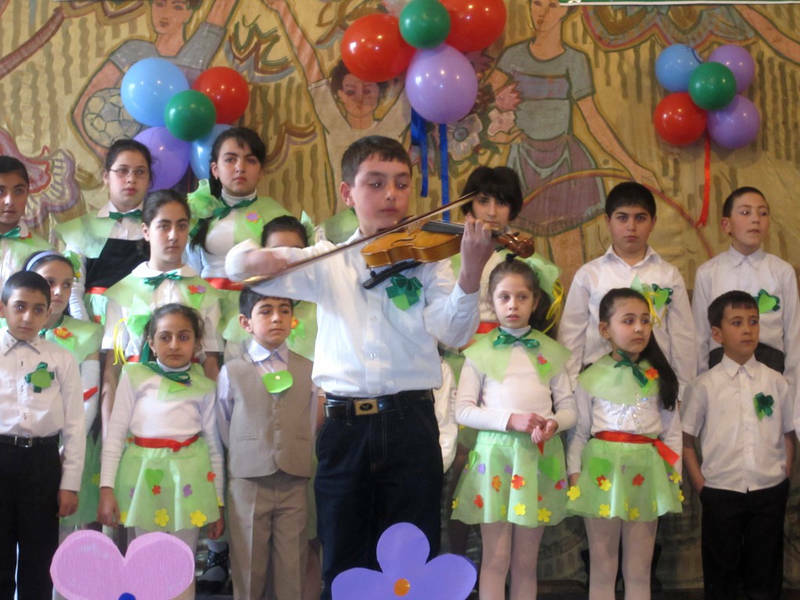 Within the project activities HDP created a choir in 135 inclusive School (Yerevan) with participation of 30 children (7-15 age groups) with and without disabilities. 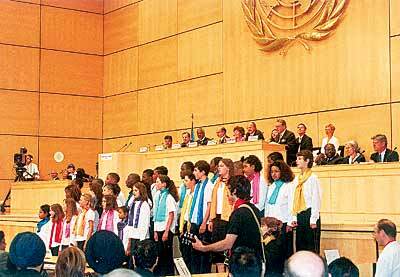 The choir enables the disabled children to break the barriers, discover and present their musical and artistic talents. 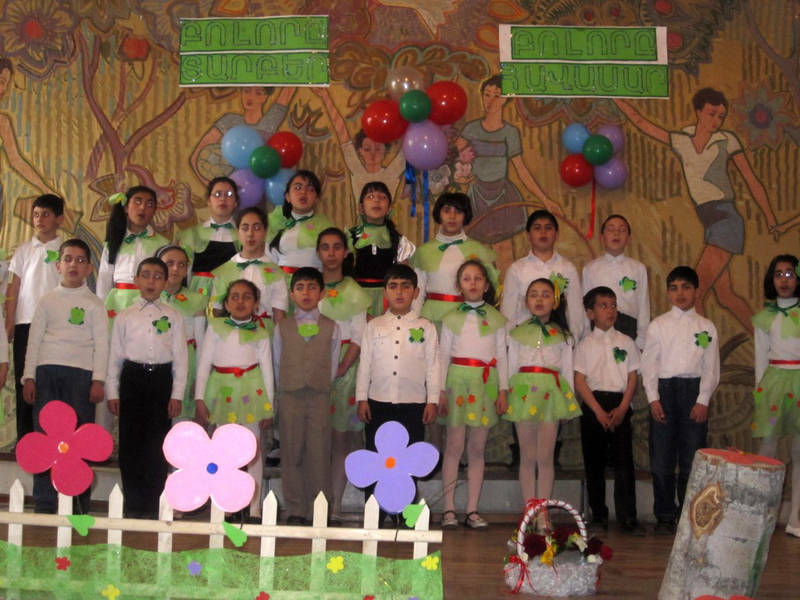 The choir will have concerts at inclusive schools, in orphanages in Yerevan and in regions. 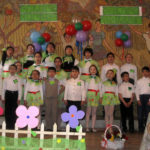 The teacher of the choir also suggested to prepare a short musical performance which will enable the disabled children to develop their physical and mental abilities as well. The film “Only love” was presented to the “Emotion Pictures Documentary and Disability: 4th International Festival – Athens 2010”. The festival will take place in Summer at Benaki Museum in Athens. The film “Only love” was aired on “Ankyun Gumarac 3” TV (Alaverdi, Lori Region). Under the project “Building Disabled People Organization outreach for greater disability inclusiveness” HDP organized presentation and discussions of the three films (“If you have wings”, “I am a hero” and “Only love”) at schools and kinder gardens in Alaverdi and in four rural communities (Haghpat, Mets Ayrum, Aqori and Arevatsag). 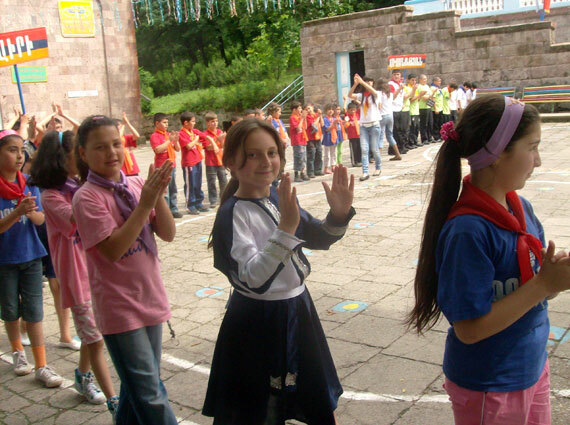 This year also HDP will organize Summer Camp for children with and without disability. 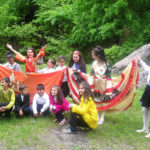 The children will spend their Summer holiday in one of the picturesque places of Armenia in “Gugark” camp (Vahagnadzor village, Lori region). 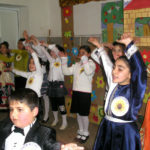 HDP successfully implemented summer camp under its previous project and continued this activity in summer 2010 as well. 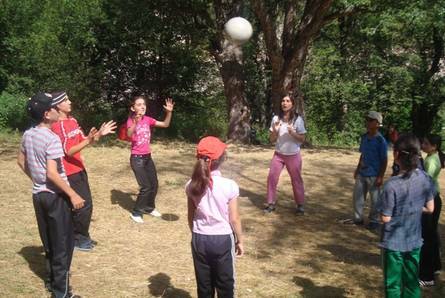 HDP organized a group of children with disabilities (28) to spend 10 days in a “Gugark” summer camp for children in Vahagnadzor village, Lori Region. When the children arrived to the camp, the other surprised them when they met them at the entrance with salt and bread in their hands. It is considered to be an honor for a guest. The experience of last year with summer camp was very encouraging, as that children integrated easier when they played together, organized daily exercises and music events and that was a great motivation not only for children but also for the parents. 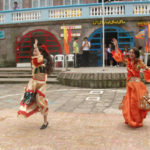 The total number of campers was over 150 and they also came from different parts of Armenia, each with its culture and tradition. 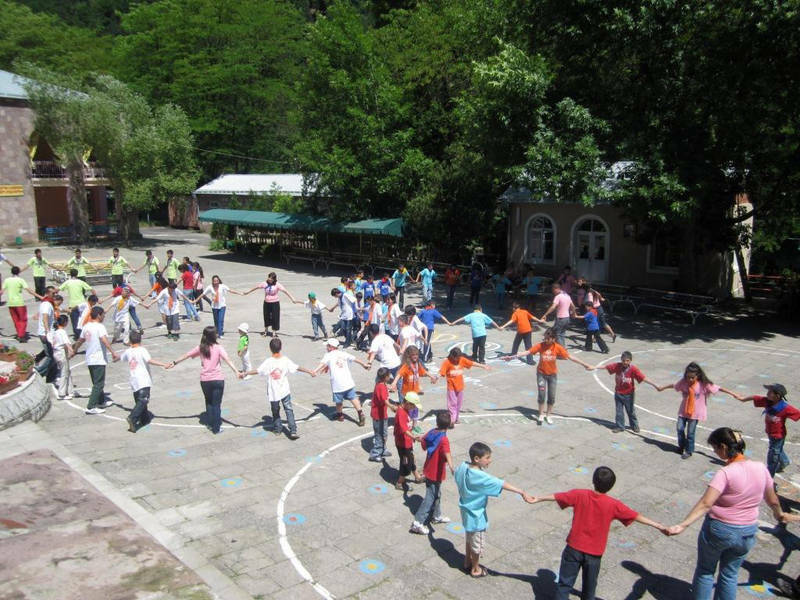 Our beneficiaries were selected from N 135 Inclusive School, Yerevan and from “Bridge of Hope” NGO, Dilijan and they all were fully integrated with them. 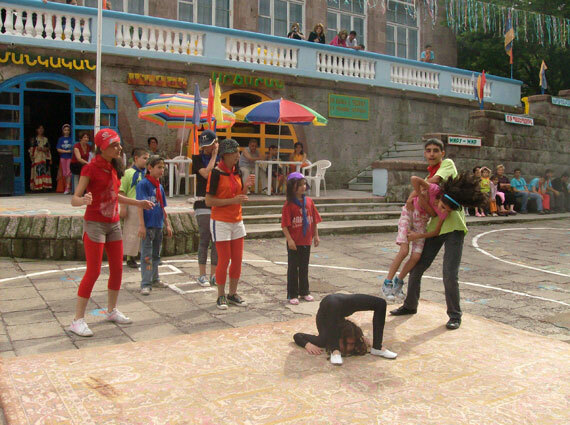 During the opening day ceremony of summer camp the children with special needs had a very excited performance. The head of summer camp also enjoyed it greatly, as they did not expected that children with special needs would be so active, creative and talented. The schedule of the camp was prepared for all campers and this also helped the integration of children with disabilities. 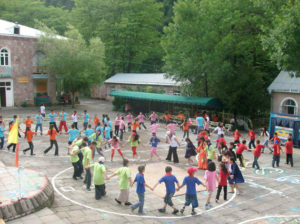 The campers began their daily activities with physical exercises. The organizers of the camp took into account the needs of every child and daily activities, which ensured open, friendly and family-like atmosphere for all campers. The camp also organized chess, tennis, basketball and football clubs competition and the teams had an opportunity to gain scores. 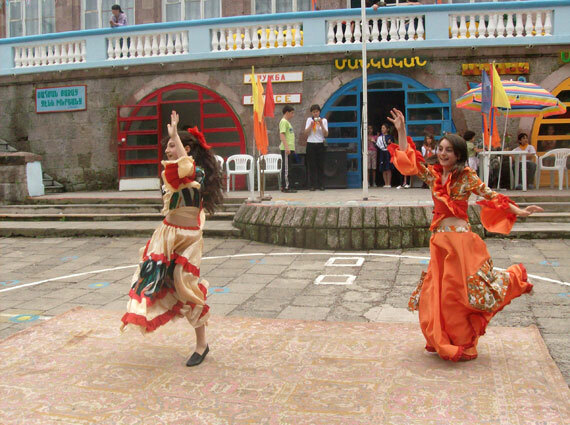 As a prize the organizers of the camp took the campers to the nearby historical monasteries. 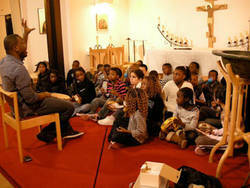 The campers also had an opportunity to see the film “Only love”. This was new for them. After the film the eyes of campers were full of tears, they all were excited. They discuss the film with active questions and suggestions. All campers wanted to share their opinion about the film. They all agreed that only love will break the barriers and will help the children from socially disadvantaged families, the children with mental or physical problems to be fully integrated and feel full members of the society. The last day of summer camp was a great surprise for all campers. 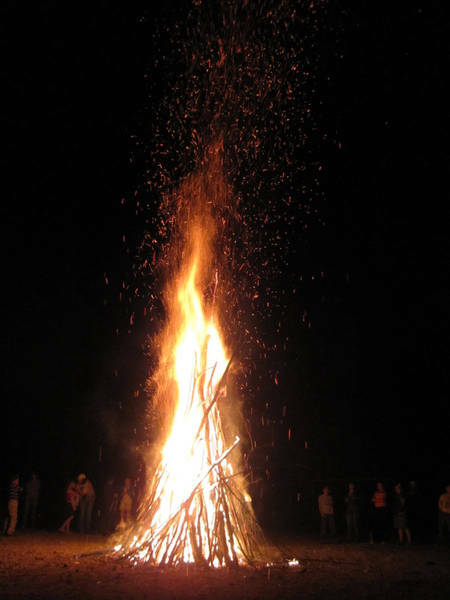 When it was already dark they saw the big fire in the middle of the camp square, where all parents and guests were invited to take part and enjoy that pleasant evening. All campers were singing and dancing around the fire. 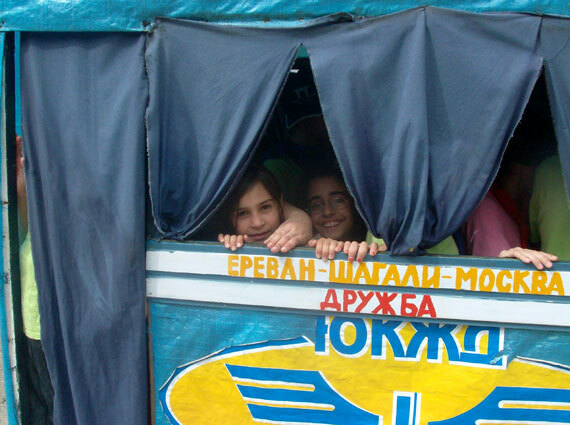 Summer camp became a good example for promotion of integration of disabled children. It helped the children with disabilities to develop their communicative skills and to break social-physiological barriers. 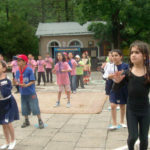 According to the parents summer camp is a good opportunity for children to be more tolerant and interactive with adults. 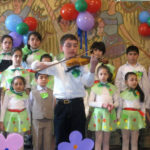 A new project of the Jonas Foundation is the “Integration of Disabled through Art” program in Armenia. It is an invaluable opportunity to further the goals and objectives towards integration and social inclusion of children and youth with disabilities. The project is a partnership with the HDP Foundation (Human Dignity and Peace), an NGO which has been active in Armenia for over five years, primarily in the humanitarian, agriculture and educational spheres. David is born with Cerebral Palsy (CP). He has physical limitations, uses walker around the house, has no education although his mental capacities are intact. He has beautiful voice; and yet is isolated at home. His parents are divorced. It is this kind of children that are included in this new project. 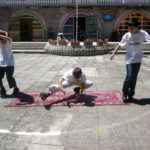 It will promote their inclusion and participation in art and related activities. 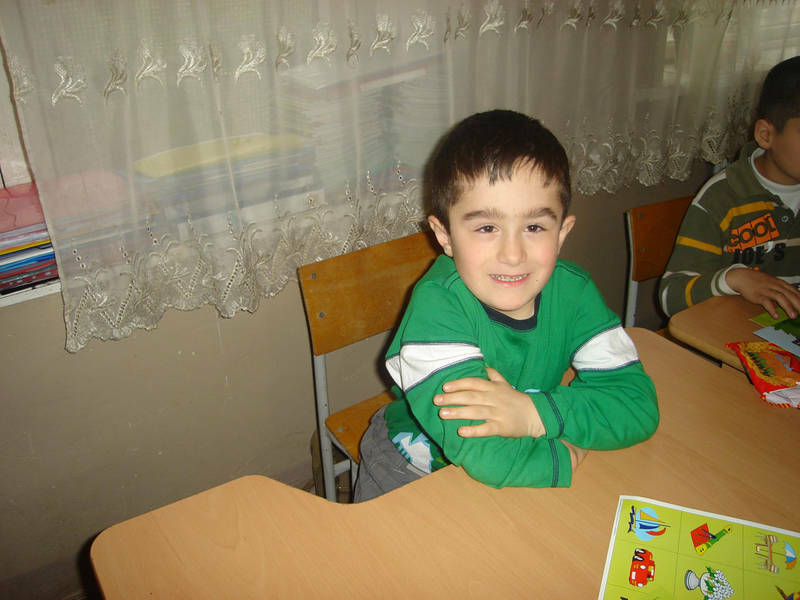 Sahakyan Rudik is currently receiving home tuition from a local teacher. HDP volunteer Kathleen Paduano, an occupational therapist, was able to expand his program to include some developmental activities. This includes parent/volunteer training to expand Rudik’s opportunities to learn. An easel made of cardboard was developed for him, so he is able to work on his homework independently while sitting in his favorite chair. Fine motor strengthening activities and academic books were also provided. 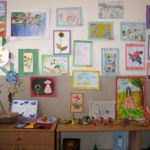 HDP, through the Jonas Foundation program will identify talented children with disabilities and include them in different existing art and music classes; arrange exhibitions and provide opportunities to interact with their peers through meaningful art activities. Karen Grigoryan has a CP and comes from a poor family, never went to school given his disability and lack of inclusive schools when he was growing. HDP volunteer is teaching Karen basic literacy. He likes poems, history and learns quickly. HDP will include Karen in tours to history or art museums, photo exhibitions, provide supplies so he can try his hand in drawing or anything else he enjoys. Karen and the like have been “out of sight, out of mind” for a long time, they simply did not “exist” as were isolated from society. HDP through media and public relations activities, will raise awareness of the society about the needs and wants of this target population on the one hand and raise the awareness of youth with disabilities and their families on their rights for inclusion in the art and education, equal opportunities and provide practical knowledge as to how protect and exercise their rights. HDP Founder David Lee Watt is distributing gloves to children with behavioral challenges in a special Institution in Armenia. This is how HDP came to work and interact with children with special needs, study their wants, concerns. As a result, HDP started to develop and implement programs to address their needs in the areas of better and improved education, integration, equal opportunities, labor right protection, etc. 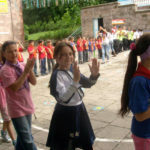 Integration and involvement of youth with disabilities is a challenge in Armenia: isolated in their homes or special schools, they are not heard from or seen, their talents are not fully appreciated by the larger society, they are rarely involved in art or other cultural events. 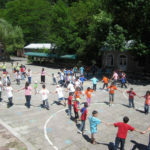 There are over 8000 disabled children in Armenia: majority of them are going to special institutions where for basic education and life skills, more severe handicap are kept in their homes. 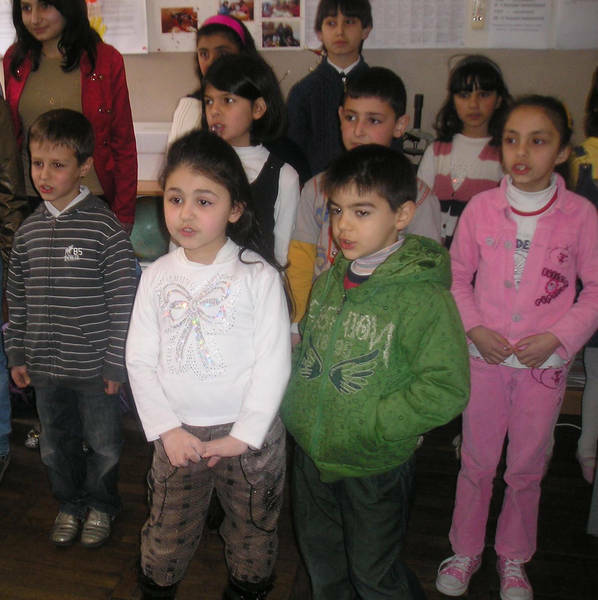 Human Dignity and Peace Foundation (HDP), an Armenian not-for-profit foundation, established in 2004, is concerned with those children and youth and wants to create more open and friendly environment where all children are viewed equally, where they have equal opportunities for art and education. Jonas Foundation too cherishes and supports children that are marginalized – this shared concern and vision for disabled children established a partnership between HDP and Jonas Foundation. 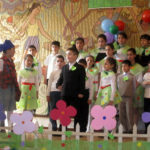 As a result, through funding from Jonas Foundation, HDP is now implementing a program that will a) give hope to and promote integration of youth with special needs through a variety of artistic activities that enable them better opportunities to develop and use their talents as full members of society; and b) raise the awareness of youth with special needs to society at large so that we can begin to break down stereotypical barriers. Institutional (policies and legislation that do not provide realistic mechanisms for inclusion resulting in systematic exclusion or neglect. World Vision is one of the main partners within this project. A 5-day training program took place “Advocacy for Disabled Children in Art and Education Programs” to which the teachers involved in our project have been invited. Project resources are limited but all children that are included in the project participate. 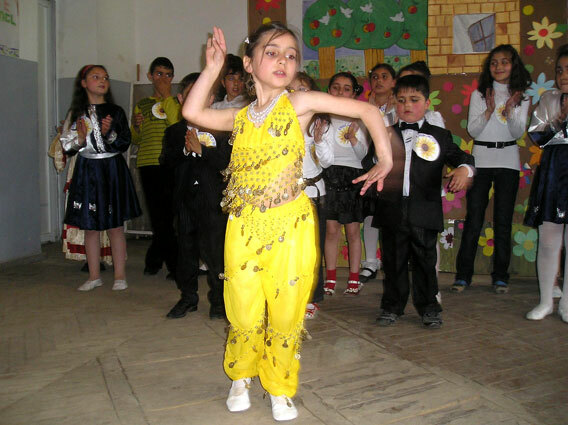 Beginning from May 2007, HDP is organizing a variety of activities with about 170 children and youth with special needs aged 4-25, so that they can develop their artistic skills and engage in art events and festivals along with their healthy peers. 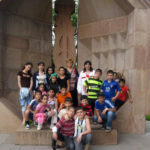 HDP for example, arranged a trip to an art museum where many disabled children had never been before. The museum guide was amazed at the amount of questions children were asking with their eyes wide open and happy. 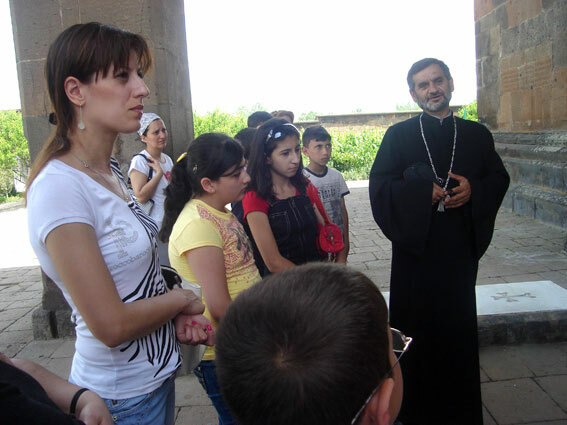 Another event was taking these children to an ancient Armenian monastery and church of 13th century: this visit turned into an excursion to history and a great day out in nature. Normally, disabled children in Armenia do not go out much, they are not seen, so this was a real event for them. 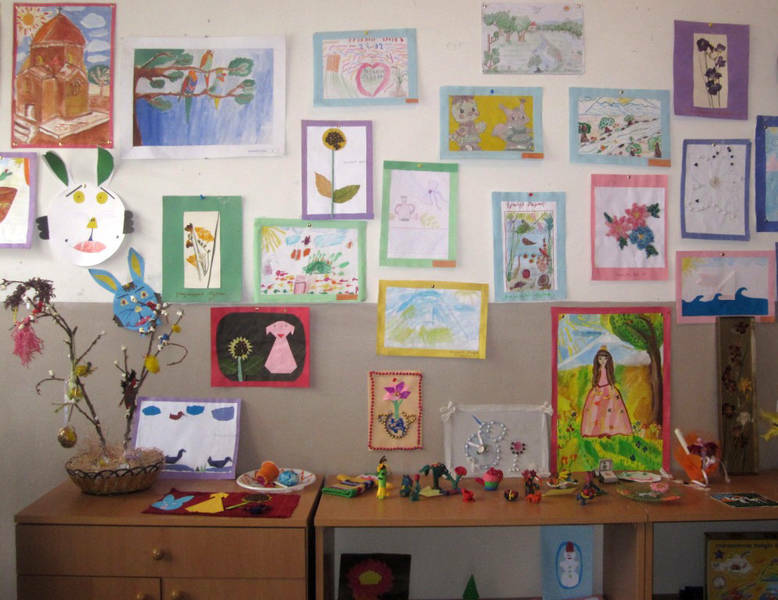 HDP is currently putting together materials to organize a photo and art exhibition of works made by disabled children: this will be organized in several cities of Armenia.